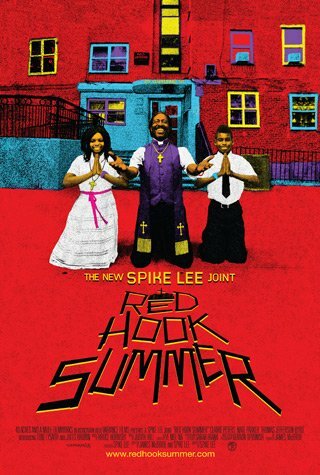 The latest in Spike Lee’s Chronicles of Brooklyn series (which also include SHE’S GOTTA HAVE IT, DO THE RIGHT THING, CROOKLYN, CLOCKERS, and HE GOT GAME), RED HOOK SUMMER tells the story of Flik Royale, a sullen young boy from middle-class Atlanta who has come to spend the summer with his deeply religious grandfather, Bishop Enoch Rouse, in the housing projects of Red Hook. Having never met before, things quickly get off on the wrong foot as Bishop Enoch relentlessly attempts to convert Flik into a follower of Jesus Christ. Between his grandfather’s constant preaching and the culture shock of inner-city life, Flik’s summer appears to be a total disaster–until he meets Chazz Morningstar, a pretty girl his age, who shows Flik the brighter side of Brooklyn. Through her love and the love of his grandfather, Flik begins to realize that the world is a lot bigger, and perhaps a lot better, than he’d ever imagined.